Court reporters aren’t restricted to working at a courthouse. The same skills that make a court reporter valuable during a trial, such as fast typing and a knowledge of stenography, also make court reporters useful in business settings. Here’s a look at a few of the many ways San Jose court reporters can help you with your business needs. 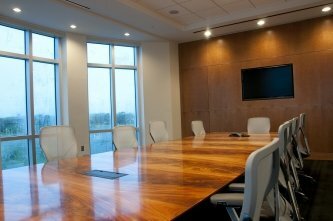 What is said during board meetings can have a tremendous impact on your business’ direction, but how many people really remember specifics or have notes reliable enough to count on? Instead of risking misunderstandings of important points or forgetting a major facet of the discussion, bring in a court report who will create accurate minutes . A court reporter won’t miss a word of the meeting and will create a final document that everyone on the board can have as a reference. 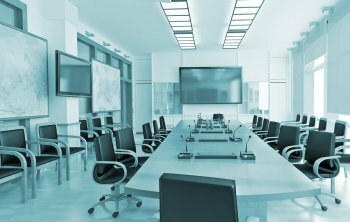 As with board meetings, accurate records of corporate meetings can be extremely important. With a court reporter on hand to transcribe the meeting, all decisions and discussions will be documented so that they cannot be disputed later. Transcripts of corporate meetings are ideal both as references for those leading the meeting and as documentation of what was shared with employees. Meeting transcripts can be especially helpful for videoconferencing meetings in which long-distance attendees may miss important points. When you’re screening a long list of job applicants, it’s not always possible to be as thorough with your notes as you would like. It’s common to wish you could remember what a specific candidate had to say about a particular question. By having a court reporter present for interviews, you will have a record that lets you go back and find the information you need, so you can be confident that you’re hiring the right candidate. More and more businesses are relying on technology to become more efficient and help their employees achieve goals in more productive ways. 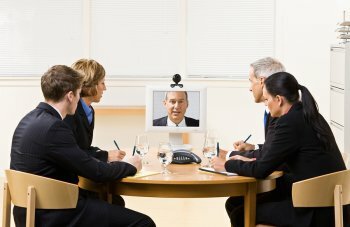 For small companies in particular, technologies like videoconferencing are changing the way business gets done. If your small business isn’t taking advantage of this opportunity, consider the following ways that videoconferencing solutions in San Jose could help you get ahead. Doing business by phone or email doesn’t always cut it, and in the past, the only way to collaborate face-to-face with a colleague or client was to travel to a meeting. That meant spending money on transportation, hotel reservations, food, and other travel expenses. Videoconferencing solves this problem. You get the same benefits of a face-to-face meeting without any of the associated travel costs. Save your travel budget for a few key meetings throughout the year and rely on videoconferencing the rest of the time. Telecommuting is a big boon to employees, and it allows small businesses to be more agile than their larger competitors. The downside to telecommuting is that employees can feel isolated and like they are not part of the business’ community. It can also be difficult for employees to collaborate on projects from a distance. Videoconferencing allows you to create a digital workplace where employees all feel like part of a broader team and in which people can get answers, seek feedback, and collaborate across miles and time zones. Business travel can take a large toll on work-life balance for employees. Valuable team members may burn out quickly if they have to make frequent business trips that keep them away from important events with family and friends. Since videoconferencing cuts down on the need for travel, it can also help employees achieve the kind of balance they need to feel fulfilled in their lives—and by extension, in the important work they do for you. Video conferencing is a win-win for businesses. It allows for closer collaboration between team members without the expense of travel costs usually required to bring everyone together. However, when not managed properly, video conferencing can actually become an impediment to progress in your meeting instead of an efficient tool. Make your next video conference in San Jose more successful with these tips. Video conferencing systems don’t have to be complicated, but even the simplest system will send you for a loop if you don’t spend a little time mastering it before your meeting . Do a dry run with all of the tools you’ll need, and make sure you know how to switch between graphics and feeds so that you can make effortless transitions during the meeting. If you’re working in an outside conference room, ask the hosts to give you a tutorial on the system so you’re ready to go. Like live meetings, video conferencing meetings should have an agenda that you follow closely. Resist the urge to treat a video conference as more casual than a face-to-face meeting, and follow the same protocols you normally would. Take minutes—a court reporter can help you keep an accurate record—and use rules of order to manage time. Your schedule will keep you on track and keep the meeting reigned in. Camera angles are essential to consider for a video conferencing meeting. Cameras should be trained on speakers directly and shouldn’t include any distracting backgrounds in the view. 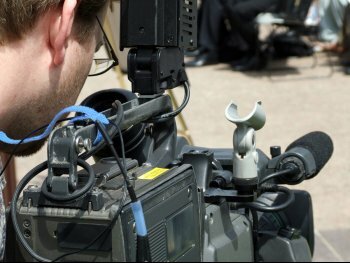 Using high-quality cameras is important for achieving the best results. All cameras should be tested before the conference begins to avoid any delays associated with picture problems. It’s also a good idea to test audio and make sure everyone knows how to use the mute function to minimize background noise. Minutes are a crucial part of any meeting. They are a formal record of events that can be referred to by attendees and outside parties alike in the future to help recall conversations and review important points. It’s essential that records be accurate and well-organized—something a court reporter in San Jose can help you with. Watch this video to learn why meeting minutes are so important. Many companies rely on a court reporter to help them develop accurate meeting records. Thanks to special training, a court reporter will have the typing speed required to keep up with meeting discussions, even during video conferencing meetings when speakers are at different locations. Your minutes, produced by court reporters, will be reliable and trusted records that can serve as useful tools for your company.